The heart bends— it does not break. I have interviewed thousands of people across the planet to discover: We all have a bending point. Do you know yours? I explore why farmers to Olympians—and even you—refuse to quit. Is our human spirit the secret to our resolve? Discover Sage Tips and Refreshing Humor! 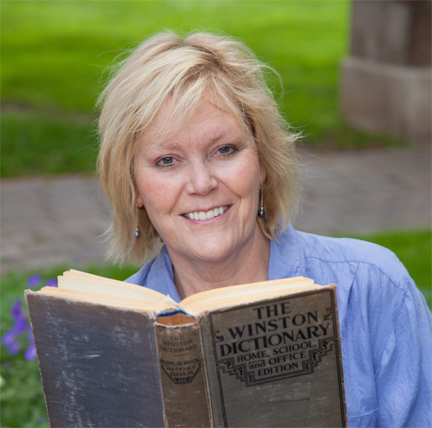 Sneak Peek Chapter and Change-Your-Day Inspirations from Beth! 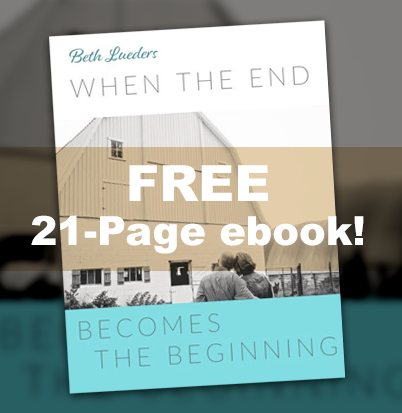 Sign up for Beth’s weekly email and get the ebook “When The End Becomes The Beginning” for FREE. Writing without effort leads to bored readers. I grew up 60 miles from the nearest mall and learned to explore the world through reading the encyclopedias stored in my bedroom and writing in lock-n-key diaries. Full-time writers move beyond the sipping lattes and staring out windows. My writing awards include investigative reporting on the plight of radiation-poisoned Byelorussian children and at-risk prostitutes in the Philippines. Relating to people in any audience requires leaving your ego in the parking lot. I shape my messages with gutsy drive and enough wit to help you chortle, guffaw, and rate me a 10 on comment cards.